Kratom is being ingested by the people for some purposes now, and know-how among more of the people is increasing about the Kratom plant. Leaf of the Kratom which has compounds called alkaloids is being used by the people from Southeast Asia from hundreds of years as the tree of Mitragyna Speciosa is grown in these areas. Apart from the leaf of the kratom, its stem and veins are also being used now as the discoveries related to them have been made according to which they even have more effecting alkaloids present in them. 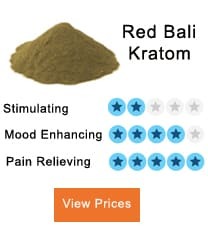 Kratom which has many advantages and is used for the removal of pain and anxiety from the body and provides the users higher energy level but on the other hand, care must be taken while using different strains of Kratom as the overdose of Kratom may create problems for the individuals who start using it at a high dose. In such case, many people have experienced vomiting, sedation, dizziness, and problems in breathing. 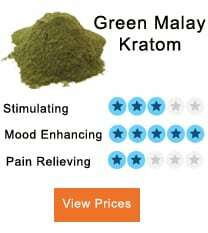 What Is The Maximum Effect Which Can Be Caused By Kratom? Kratom overdose can produce several severe and even dangerous effects on the human body. The side effects depend on the dose and can resemble the effects of other stimulant substances and opiates. Here are some kratom overdose effects. Almost all kratom users experience pupil constriction. Pupil constriction is attributed to the opioidergic effect of kratom. When the pupil constricts, it limits the among of light entering the eye. Consequently, many kratom users have experienced poor vision at night. Pupillary constriction is not a big problem for many kratom users. Some opt to avoid kratom in the evening to prevent diminished night vision. Similar to other drugs that affect the opioidergic system, kratom causes constipation. The drug is thought to curtail propulsive peristalsis at the same time elevate non-propulsive contractions in the small intestines. These activities prolong the movement of food along the digestive tract causing constipation. While taking kratom, many consumers experience minimized bowel movements and diminished urge to empty bowels. In the case of severe constipation, indigestion and stomach pains can also occur. The occurrence of constipation varies depending on the person. Some people experience diminished constipation with continued regular consumption of kratom. For others, constipation remains a persistent side effect of using kratom. Just like the conventional opioids, kratom too causes itching as a side effect of high dose. Often the itchiness that occurs immediately after consuming kratom is mild and may not warrant the stop of consuming kratom. One theory attributes the itchiness to the fact that the body is slightly allergic to kratom. Mild itchiness is often not a concern to may. However, the occurrence of swelling, rash, edema or reddening alongside itchiness, indicates the possibility that the concerned user is allergic to kratom. Such a person should seek medical attention as soon as possible. Nausea is a common side effect associated with the high dose of kratom. Those new to kratom or consuming large doses of kratom have higher chances of experiencing nausea to the extent of vomiting. To avoid nausea due to kratom, users should restrain themselves to low doses of kratom of consuming varieties with mild opioidergic effects. Not all kratom users experience sweating. Some people have experienced a significant increase in sweat production as an effect of kratom use. Some people have reported sweating in the night such that they soak the bed sheets with sweat. Excessive sweating is quite uncomfortable in the social and work environment. Kratom overdose can cause sedation. The degree of sedation varies depending on the kratom dosage and the variety of kratom consumed. It is important to emphasize that each variety of kratom has different side effects from the others. Some kratom strains can energize the consumer while others cause sedation. To avoid sedation, the consumer should strictly adhere to the appropriate dose and avoid overdosing on kratom. The best way is to wait for 45 minutes and evaluate the level of the effects before consuming more kratom. According to DEA reports young kratom consumers around southern Thailand mix the kratom from plants with caffeinated drinks or codeine-based cough syrup. The mixture produces a drunken feeling that resembles that of alcohol. Consuming kratom alongside other psychoactive substances can cause grave consequences. There are chances that kratom may have adverse interactions with other compounds. Some publications report the occurrence of seizures associated with kratom abuse when consumed together with other drugs. Other reports show that the interaction of kratom with other opioids can worsen depression. The report cites prescribed hydrocodone medicine or morphine among the culprits that increase depression when used with kratom. When using two or more psychoactive substances at a go, each may aggravate the potential threats, as well as the side effects associated with each drug. Mixing psychoactive compounds elevates the chances of addiction or possible drug overdose which is fatally risk. 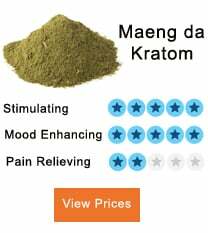 A high dose Kratom is known to cause fatigue among its users. Some may experience diminished cognitive energy that causes psychological fatigue. Others may experience physical fatigue throughout the body. Another group of users may experience a combination of both mental and physical exhaustion. The chances are that fatigue in new kratom users may gradually go away with continued use of kratom. For long-time kratom users, fatigue indicates a high dose of kratom. Psychosis in kratom users is quite rare. 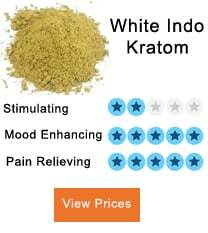 Nevertheless, it has been observed in a small number of kratom users. In psychosis, the affected person loses connection with reality. Often kratom can cause psychosis that is usually accompanied by delusions and hallucinations. DEA reports show that affected kratom users also experience confusion and at times exhibit aggressive tendencies and hostility. Those who consume kratom mixed with other substances especially illicit drugs. Those suffering from neuropsychiatric disorders and mix kratom with other medications. Some speculate that mixing several strains of kratom can cause psychosis. Seizures are rare, but a small number of kratom users have experienced it. Some have had sudden conclusions due to a high dose of kratom. Those with a family history of seizures, epilepsy or related neurological conditions stand a higher risk of experiencing seizures from consuming kratom. Tremor is a rare side adverse effect of consuming kratom in high doses. Tremor can be caused by consuming potent strains of kratom or by ingesting large doses of kratom. Tremor can also occur from mixing kratom with other substances. Consuming kratom can lead to impaired hand and eye coordination. It also hampers the excellent motor skills. Kratom can diminish the regulatory activity of the CNS and cause sedation and dizziness. All these effects can lead to coordination deficit. If you experience coordination impairments, you should stay away from operating machines when you are under kratom. Failure to do so would be putting your life at risk. Kratom can cause some serious problems like nausea, stomach issues, and vomiting but these problems are not so severe that they can lead to the death of the person. Till now, no such cases have been seen which show that overdosing of kratom can cause death. The only effects you may have to face, are those which are mentioned above or maximum effect would be that you would fall asleep. This will be an indication for you that you need to stop the dose of kratom for some time and take rest from it. In other words, these side effects are a clear signal for you that it is an overdose now. Hence, kratom can be used easily without having much fear about the side effects which can be dangerous for the life of the person.